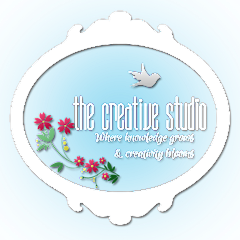 The Creative Studio: That's why it's a challenge! Hey everyone!! I know a lot of you think those of us on various DT have no problems when it comes to challenges- I mean that's why we were picked to be on the teams- right? Well even DT members have to struggle once in awhile. It's like exercise, sometimes you have to kick it up a notch to be the best you can be. 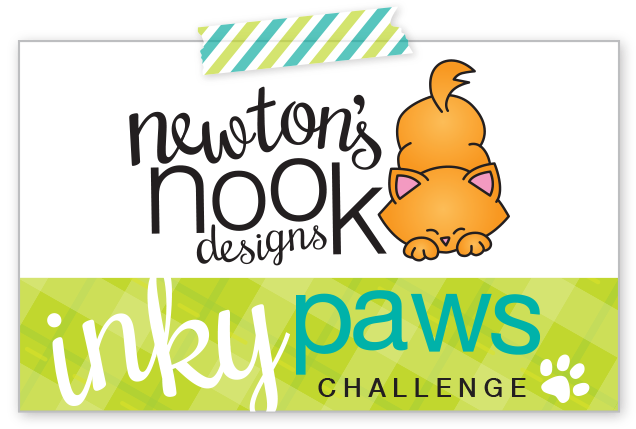 The new challenge at Inky Paws was kicking it up a notch for me. 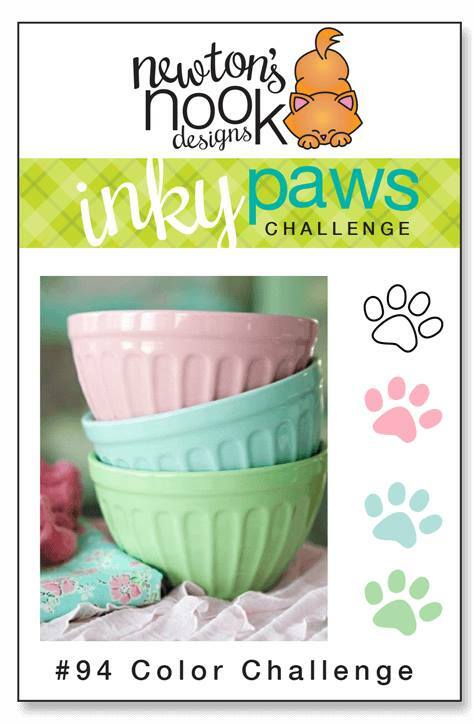 It is a color challenge that asks us to use pink, baby blue and mint green. 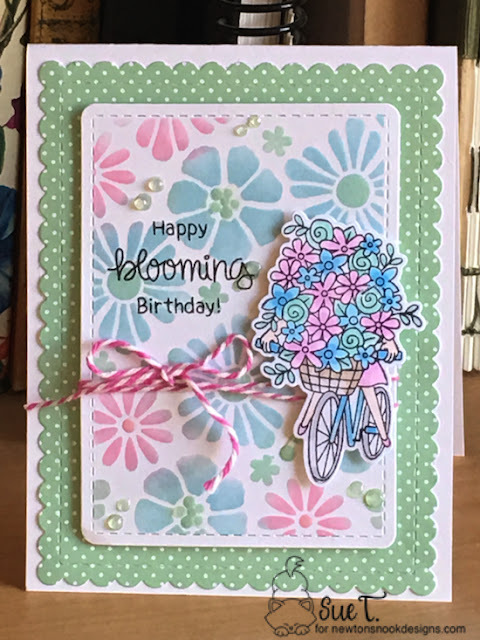 I struggled and threw away a few cards before I was happy with today's entry. I think the main thing that helped me was finding the right color inks. Thank you Catherine Pooler!!! I used "it's a boy", "it's a girl", and "mint to be" inks from her party ink collection. Just having the right colors got my mojo moving. 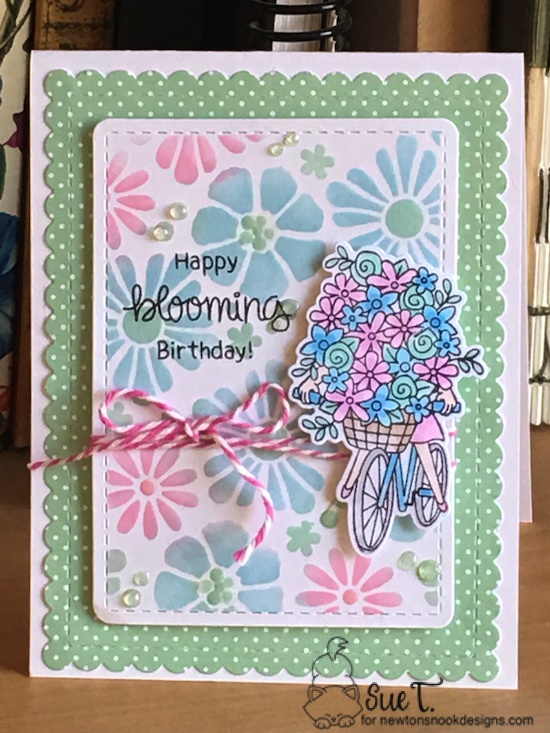 My card today used the new "bold blooms" stencil and "loads of blooms" stamp set. 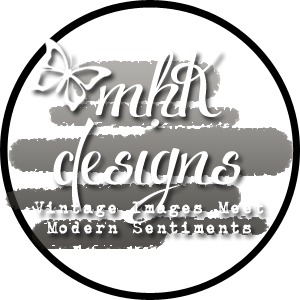 I have been having a blast with that stamp set and you will see it being featured quite a bit in the future. I added some clear dots to embellish the card with glossy accents and it pretty much put itself together. I gotta say, it's good to push yourself further. You will be surprised at what you can accomplish. 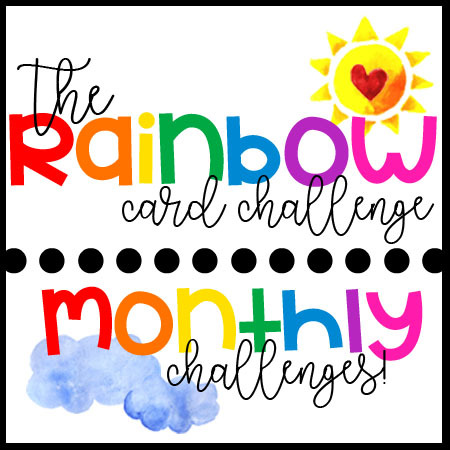 I know you had a hard time with this challenge but I LOVE what you came up with! So pretty! The background flowers go perfectly with that image! Way to go! 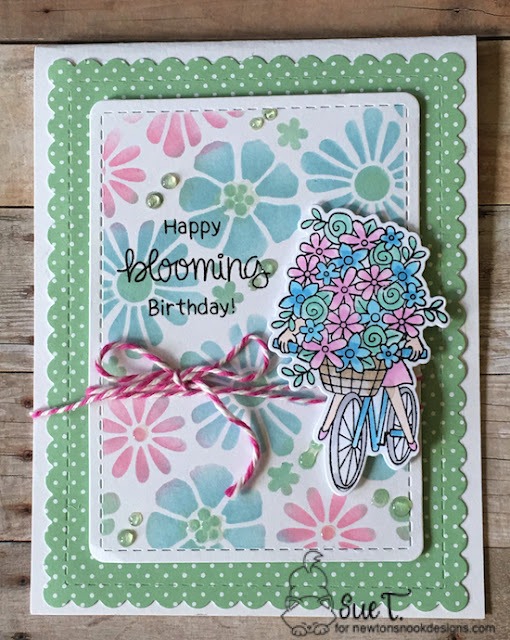 I love this color combination and that stamp set is awesome! 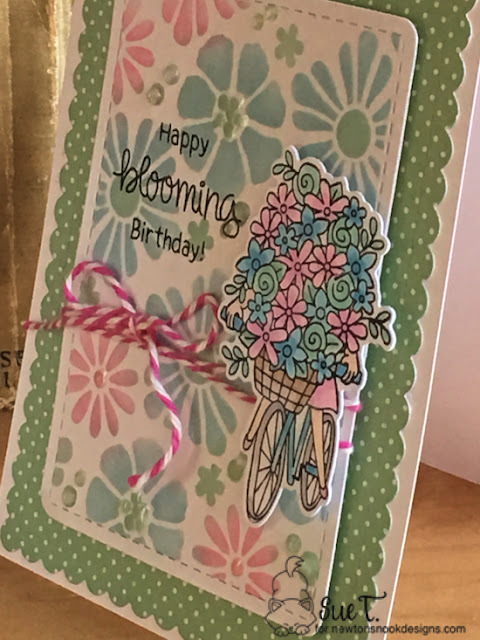 Beautiful card, Sue!